In-N-Out President Lynsi Snyder (left) is presented with a $5,000 check for her Slave 2 Nothing nonprofit from the Center for Family Business and City National Bank. Director Hart is holding the check, while Dean Morteza Rahmatian is to his right. Mihaylo’s Center for Family Business held its third-annual induction ceremony on March 21, honoring local family-owned establishments with awards based on their commitment to improving their communities and staying true to their founder’s mission over the generations. Mihaylo College’s third annual celebration of Southern California family businesses was held at the Richard Nixon Library on March 21. Sponsored by the Center for Family Business and City National Bank, the event featured speaker Lynsi Snyder, president of In-N-Out Burger, who was interviewed by Mark Steines, co-host of “Home & Family” on the Hallmark Channel, on her experience as the third generation leading one of the Southland’s iconic food brands. The center and City National Bank presented a $5,000 check to Snyder’s Foundation, Slave 2 Nothing, which seeks to end human trafficking. The Center for Family Business Hall of Fame honors are awarded through peer nomination. 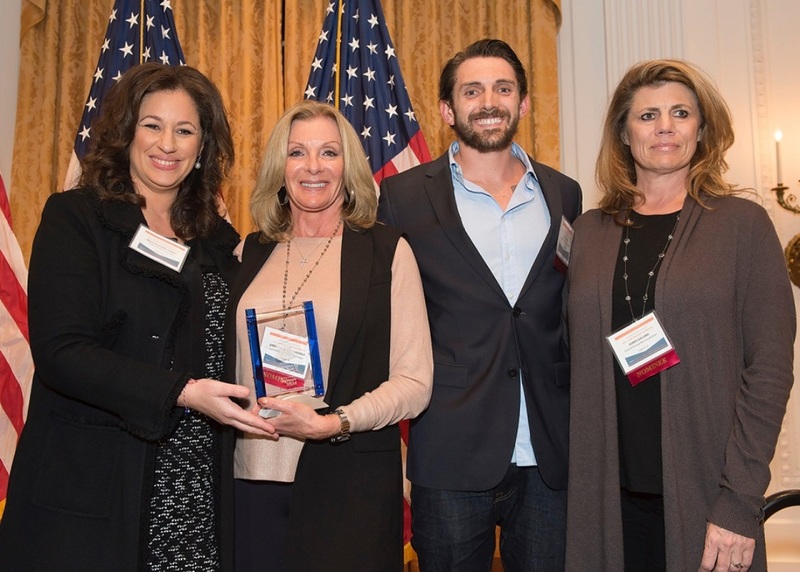 This year’s Excellence in Community award, presented to a business that prioritizes benefiting and developing the local community, was bestowed upon Irvine-based hot dog fast food chain Wienerschnitzel. Members of the Galardi family receive the Excellence in Community award on behalf of their family’s Wienerschnitzel fast food concept. At left is Kelly Vlahakis-Hanks, president of 2016 inductee Earth Friendly Products. With more than 300 locations serving hot dogs and Tastee Freez soft-serve ice cream, Wienerschnitzel is a prime example of a local family-owned business that has maintained vitality over several generations. Totten Tubes, a steel distributor offering custom tube specifications, was awarded the Strength in Succession award, bestowed upon a business that has continued to expand over the generations, despite challenges in the economy. MagnaFlow Performance Exhaust, a manufacturer of car exhaust products, received the Founder’s Vision award for maintaining the mission set forth by their founder over multiple generations. Mike Trueblood, the former advertising executive who served as director of the Center for Family Business for 12 years, was honored with the Lifetime Achievement award for his 40-year advertising and marketing career and campaign to create the Rick Muth Endowed Chair for Family Business on campus, Cal State Fullerton’s first endowed chair. The position involves teaching family business courses and supporting research on improving multigenerational success. “Honoring my mentor was emotional for many of us,” says Hart. The Center for Family Business offers regular speaker events educating family businesses on a wide range of topics and sponsors a course for Cal State Fullerton students and the broader community, MGMT 335 – Family Business Dynamics. For more information, visit them online or stop by their office at SGMH 5284.